Today’s bloggers are Dr. Audrey Figueroa Murphy, Associate Professor at St. John’s University in Queens, New York, and Dr. Bruce Torff, Professor at Hofstra University in Hempstead, New York. They write here to describe research published in an article in the current issue of The Educational Forum. During the 2012–2013 school year, the Common Core State Standards (CCSS) in mathematics and English language arts were implemented in 45 states across our nation, making it one of the most sweeping educational reforms in US history. The shift to CCSS has caused concern among many teachers as they struggle to familiarize themselves with these new standards in order to design appropriate instruction and assessments. These changes are especially challenging for those who teach diverse learners, such as special needs students and English language learners. Because CCSS has caused consternation among educators, it is reasonable to wonder how the standards are affecting teachers’ perceptions of their capacity to teach effectively. Research shows that individuals who believe they are ineffective almost always are, so a reduction in perceived effectiveness is a reliable indicator of diminished performance. If teachers report reductions in perceived capacity to teach effectively, classroom performance has likely dipped. Our study was carried out in 2012, the first year CCSS was implemented. A survey was administered to capture teachers’ perceptions of their ability to teach effectively during the time when CCSS was being integrated, and contrast this with their perceptions before CCSS was implemented. The survey also examined teachers’ perceptions of their effectiveness working with three different populations: general education students, special education students, and English language learners, each before and after implementation of CCSS. The results of these surveys showed that the implementation of CCSS reduced the way teachers perceived their effectiveness for all three student populations. Interestingly, this effect was very strong for those teaching the general education students, and within this group of teachers, those who had the most experience teaching demonstrated the greatest declines in how they viewed their teaching effectiveness. Our research suggests that the simultaneous implementation of standards-based reform and accountability measures may produce uncomfortable situations for the nation’s educators. When multiple reforms arrive on the scene at the same time, there is an interaction effect. In this case, the eagerness to implement new standards at the same time that accountability is put into full swing (i.e., in order to receive Race to the Top funding) has put teachers in unfair positions. For instance, CCSS and accountability policies were implemented during the same year, but little attention has been paid to the fact that CCSS implementation might be lowering the very scores used for the accountability decisions. These decisions rank teachers on different levels and may lead to possible dismissal, whether or not the educator is tenured. A more thoughtful way to proceed would have been to delay the accountability policies until teachers had a reasonable period of time to study CCSS and develop instruction to meet the needs of the diverse learners in their schools. Educational reform would be more sensible and justifiable if it were to proceed carefully, with more thought and reflection. KDP is proud to partner with Routledge to share Dr. Murphy and Dr. Torff’s article free with the education community through January 31, 2016. Read the full article here. 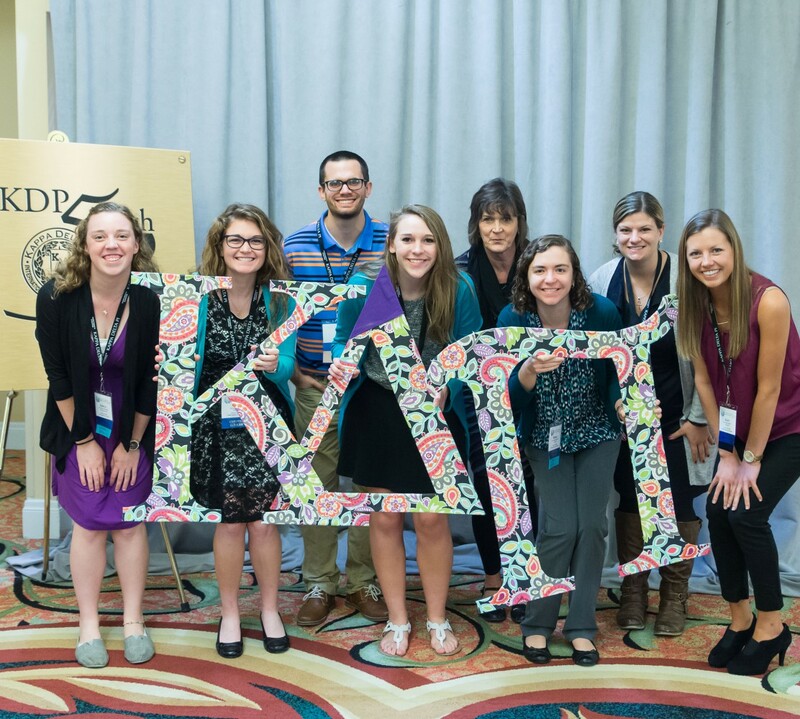 Kathie-Jo Arnoff is Director of Publications at Kappa Delta Pi and Managing Editor of the KDP Record. If you’re a KDP member, you may be receiving the quarterly KDP Record as part of your membership. (Only undergrads receive the New Teacher Advocate instead during their first year in KDP.) 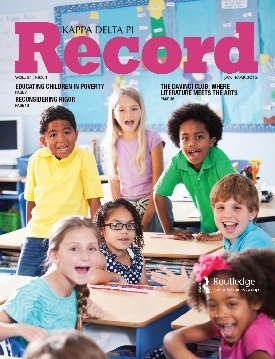 The KDP Record promotes professional growth in the field of education by providing articles on evidence-based teaching strategies, reviews of current policy initiatives, examples of applied theories, and reports of original research in language that is accessible and practical. The Educational Forum is available by subscription. KDP members get a whopping 75% off the normal price, and that includes access to all 79 years of archived articles. 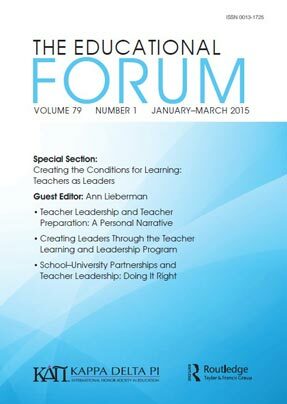 The Forum provides thought-provoking, challenging essays, research reports, and featured works designed to stimulate dialogue in education on a worldwide scale. Both journals are perfect for helping you keep up with the field, as well as for your research projects. Subscribe today and find out what you’ve been missing! 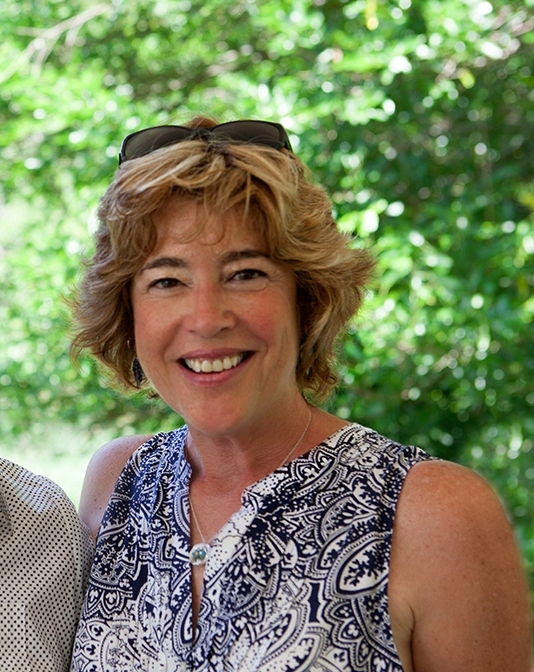 Francine Canin is a Reading Teacher at I.S. 238: The Susan B. Anthony Academy in Hollis, Queens. A former Chapter President and Literacy Alive Coordinator, Francine is currently serving as Membership Vice President at Brooklyn College. 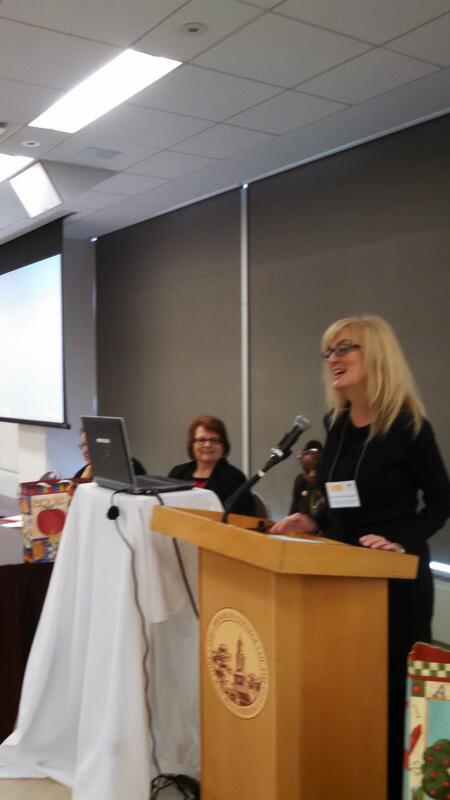 On November 7, Eta Theta/Brooklyn College, along with the Brooklyn Reading Council, co-hosted the 34th annual Brooklyn Boro-wide Professional Conference. Educators, a day of workshops and professional networking. The event opened with remarks from Brooklyn College School of Education Dean April Bedford, whose message of “Bring the joy back to reading” resonated with educators. Topics included Bullying, Reading in the Content Areas, Encouraging Creativity and Thinking Skills, Understanding the Data, Drama in Reading Instruction, Forging Relationships with Parents, an introduction to ELL topics, and more. Presenters included principals, teachers, and BC faculty members, several of whom are KDP members. Dr. Tova Ackerman and Jason Leinwand amazed teachers with their Stop-Motion Animation, a vehicle for activating literacy in children. The cartoon created by students using this technique was amazing! I presented a workshop on Teaching the Reluctant Learner, where I shared some of the strategies I use to motivate and support students. I am hoping to bring this workshop to Convo 2015 in Orlando! 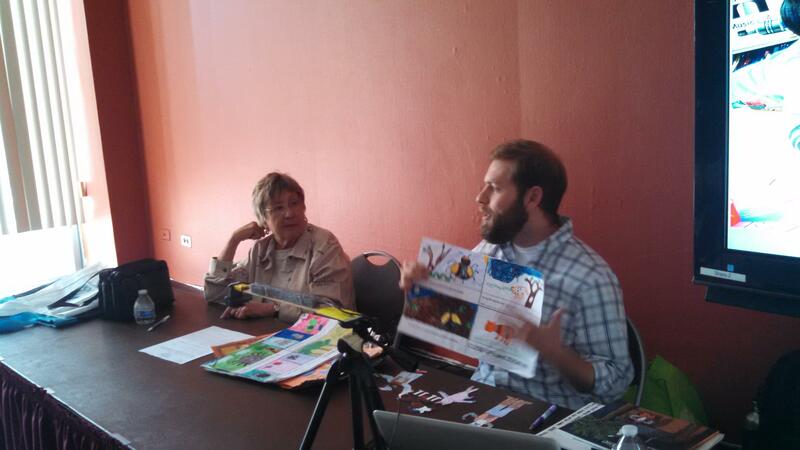 Author Stephanie Calmenson gave a presentation about her career path as Kindergarten teacher and children’s author. Scholastic, Inc. donated free copies of Ready, Set, Dogs! No Dogs Allowed, which Ms. Calmenson co-wrote with Joanna Cole. I particularly enjoyed seeing slides which were motivations for her writing. One was a photo of her first manuscript, or what was left of it after her dog ate it! Afterwards, I had the opportunity to meet and talk with Stephanie Calmenson as she signed copies of Dinner at the Panda Palace. You can hear her read this delightful PBS StoryTIme book. 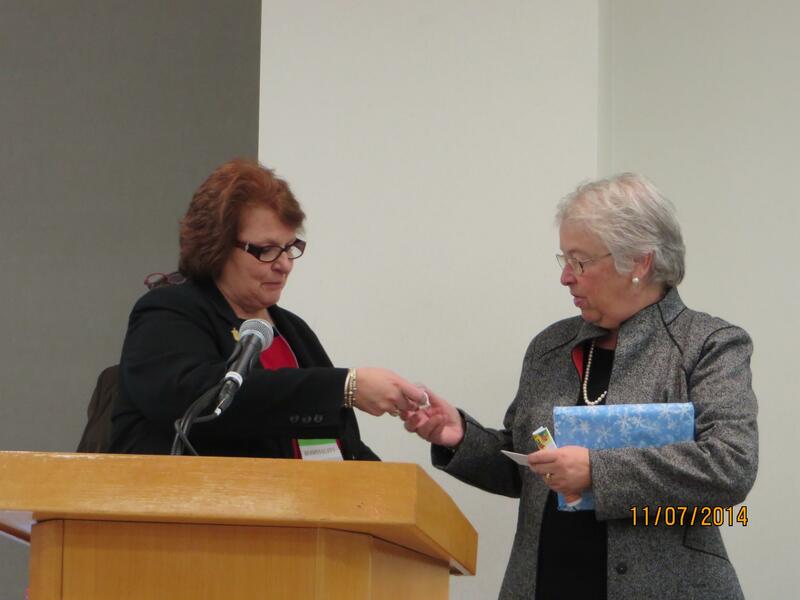 Chapter President Barbara Buchholz with Chancellor Carmen Farina. The highlight of the day was the keynote speech given by New York City Department of Education Chancellor Carmen Farina, a dynamic educator who has not forgotten her own years in the classroom. Ms. Farina began by discussing Common Core, and emphasized that if the texts are not developmentally appropriate, then the students aren’t learning. “Literacy is joy” was a simple yet strong quote that reminded us that we need to find ways to not only meet the standards, but to teach students to love reading. Chancellor Farina supports picture books for all ages, students reading to each other, including older students reading to younger ones, independent reading to build fluency and stamina, and helping parents understand how to set the appropriate environment for doing homework. And who can argue with her philosophy on testing: More testing? No. More sensible testing? Yes! On behalf of Eta Theta Chapter, President Barbara Buchholz presented Chancellor Farina with a gift membership to Kappa Delta Pi. Kudos to the dedicated professionals of Kappa Delta Pi – Eta Theta Chapter and the Brooklyn Reading Council who worked hard to make this event a huge success. Many thanks especially to our Chapter President, Barbara Buchholz and our Chapter Counselor and Conference Co-Chairperson, Sharon Kohn. Thanks also go to Dr. Victor Ramsey, Co-Chairperson of the Conference and Jennifer Hamilton-McKinnon, President of the Brooklyn Reading Council. The Eta Theta Executive Board is poised to assist any other chapter needing advice or support in order to create a similar event. It’s the first day of summer and what do you do? Fresh vegetables and fruit to get. Then put on your suit and jump in the pool – yahoo! Take a hike or use the lawn mower. Don’t forget the sunscreen and a fun hat – whoo-hoo! It’s the first day of summer, so a party you’ll throw. Check Pinterest for ideas you’ll love. The most fun food and games you’ll always know! You go! Or backwards design ʼtil your brain is sore. Use your KDP membership so you don’t pay. Because KDP has what you need to know. Whoa! Learn new strategies, get tips or facts. The Resources Catalog will gain you as a fan! Do all the crises in schools—tornadoes, shootings, students dying accidents—make you wonder what you can do? Go to the Students in Crisis category in the Resources Catalog and view the webcast “Disaster Primer for Educators” to see what you can do to be better prepared and “Supporting the Grieving Student” to help students cope with grief afterwards. These are also great to use with your Professional Learning Community or grade level teachers this fall. Follow up by reading “Responding to Grief in Students” and “Bibliotherapy: Helping Children Cope with Life’s Challenges.” Anti-bullying resources can be found in this same category—and watch for our new webinar on bullying in October. Learn new ways to do Differentiated Instruction or get up to speed on Common Core. 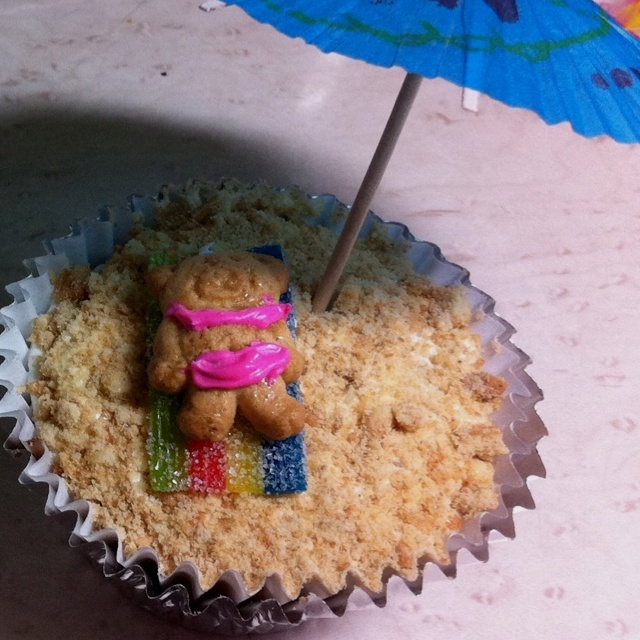 There are some terrific webcasts in the Common Core category, including “Using Data to Inform Instruction.” Articles vary in length and you can print them to take with you while sunbathing or waiting on children. Are you a newer teacher seeking to add to your repertoire of strategies? Bravo! And you’re in luck. Check out the categories of Curriculum Ideas or New Teachers or Classroom Management. It’s the first day of summer and what do you know? Will feel like a balloon losing its air. Oh, no! A year of health and energy—you can do it! The Common Core State Standards: What is Happening? I live in Indiana, the first state to adopt the Common Core State Standards (CCSS) and then formally reverse that adoption. And Indiana is the first state to replace those standards with their own. However, they are not alone in reversing their thinking. The New York Assembly approved a measure that requires a two-year delay in using assessments aligned with the CCSS for teacher and principal evaluations. In fact, lawmakers in 15 states have introduced legislation to repeal the standards or replace them with state-specific standards, with Georgia, Tennessee, and Oklahoma on their way to making major changes. So what are the facts? What are the myths? What is really happening? The idea behind common core is laudable and becoming increasingly necessary. The idea for common core standards did not come from the government in Washington, D.C., but came from a collaboration of those most important to running education in each state—the Council of Chief State School Officers (CCSSO) and the National Governors Association Center for Best Practices (NGA Center). They simply wanted the increasingly mobile and global society to be able to move from state to state and have their children pick up where they left off with no huge repeats of what they had learned and no gaping holes in their knowledge that would later cause them to fail in coursework. At the time, most states had some form of standards, but some states had very sketchy standards and some had very rigorous, detailed standards with very specific outcomes. The content for math in third grade in one state did not necessarily match the content for third grade math even in a neighboring state, so the child that moved across state lines could have gotten A’s in math in the first state and be frustrated and failing in the new state. The leaders of the states’ departments of education and the governors of the states were very excited to have a plan to make education more “normalized” among the states and did not intend for the Common Core State Standards to be viewed as a national curriculum. Indiana was a state with rigorous and detailed state standards. Some groups in Indiana felt that these new standards were not as rigorous and had not been proven to help students be more successful in college or careers than what Indiana had been using. Textbooks have not been written or aligned with the CCSS. Teachers need many resources to teach in the ways described by the CCSS, so without reliable sources for resources and without ready-make units or textbooks (along with student books and auxiliary materials like CDs and DVDs), teachers are having to spend many, many hours preparing for each class. Two consortia are writing assessments to be used with CCSS, but they have not been used enough to know if they are assessing what is being taught. In essence, those states taking another look at the CCSS are working to delay their full implementation of CCSS. In Indiana, for example, a group of educators and parents worked feverishly to write a new set of state standards (officially adopted April 28) which use Indiana’s former standards but add in the 21st century learning pieces—more emphasis on academic vocabulary, complex text, close reading, and informational text—and rearrange them to be taught in the same grade levels as the CCSS. Teachers can use the same resources and add new ones, or teachers can work with other teachers in their buildings who have been teaching the concept to build units and lessons. This allows time for teachers to prepare and students to learn to make the shifts in thinking that are necessary. It also gives time to re-think the assessments. And it allows teachers to figure out how to coordinate the increased emphasis on STEM (Science, Technology, Engineering, and Math), how to bring English Learners up to speed, and how to differentiate these standards so that all students are engaged and learning. It also gives the states time to provide funding for needed professional development and development of resources for teachers. Common core opponents in Indiana reacted angrily, producing their own report and stating that the state’s effort was a farce since there are elements of common core included in the new standards. Because of No Child Left Behind and other high-stakes testing initiatives, such as Race to the Top, in recent years, teachers and parents are very skeptical of new initiatives and new assessments. It doesn’t help that the national government has offered financial incentives to states that adopt the CCSS and that it has provided $360 million to the two state consortia developing the assessments for CCSS. Florida has taken a different tactic. They took suggestions from the public and added things like cursive handwriting and calculus to the CCSS. And they dropped out of the Partnership for Assessment of Readiness for College and Careers (PARCC), one of the two consortia developing assessments. Meanwhile, South Carolina withdrew from the other consortium, the Smarter Balanced Assessment Consortium. See which states belong to which consortium and also which states are in what stage of implementing the Common Core State Standards. Then, if you have not had the opportunity, take a look at the English Language Arts standards (which cover other “reading” subjects like science and social studies) or the Math standards. Post your comments. We want to hear from teachers from every state! Are you using them? Will you be using them this fall? What do you think?